The Ford Motor Company continues to rack up awards for each of its brands this year, including for the 2017 Ford Explorer. Named the No. 1 SUV for the last 25-years, the Ford Explorer is continuing to outweigh its competition in rugged utility and refined luxury. 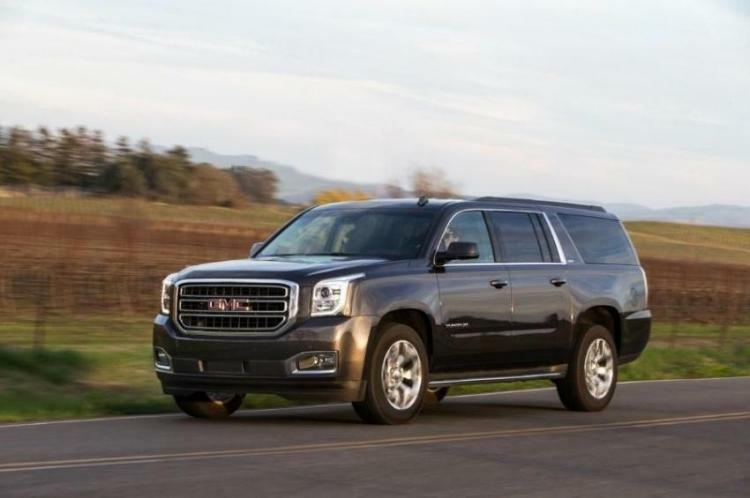 Despite competition from other well-known brands like the GMC Yukon, the Ford Explorer three-row crossover SUV has many unique qualities that far outweigh any vehicles within the market. The all new Ford Explorer offers a variety of trims, including the standard model as well as XLT, Limited, Sport or Platinum models. Each model is powered by either a 3.5-liter twin-turbocharged EcoBoost V6 that generates 365HP at 5,500 RPM and 350 lb.-ft. of torque at 3,500 RPM. The Base model Explorer, XLT and Limited trim levels come standard with a 3.5L V6, which produces 290HP at 6,500 RPM and 255 lb.-ft. of torque at 4,000 RPM. Unlike its competition, drivers of the 2017 Ford Explorer can also opt for a 2.3L EcoBoost four-cylinder engine, which delivers 280HP at 5,500 RPM and 310 lb.-ft. of torque at 3,000 RPM. All engines are mated to a six-speed SelectShift automatic transmission. What are a few other reasons that the 2017 Ford Explorer is continuing to be the cream of the crop among other SUV models? Unlike competitors like the 2017 GMC Yukon, the Ford Explorer offers unique off-roading capabilities like no other. Available onboard features such as intelligent four-wheel drive, hill descent control and a terrain management system mean you can forge ahead into the wilderness without fear. At the same time, an interior with three rows of seating, plenty of space and clever amenities means you won't ever be truly roughing it, no matter where your travels take you. 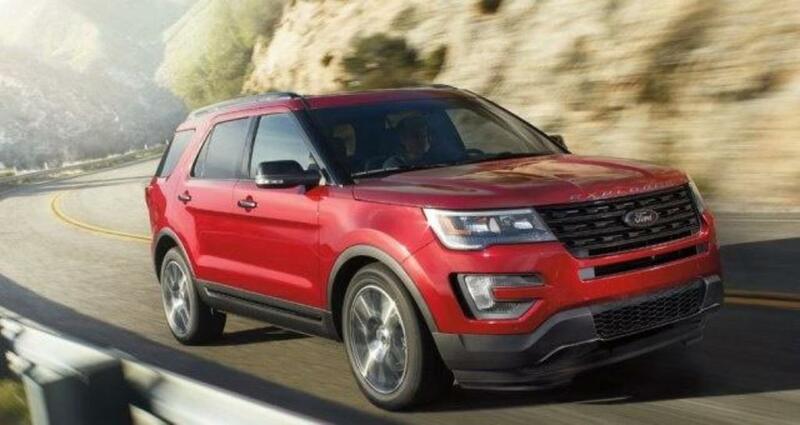 If you are in the market for an SUV with a large towing capacity, then look no further than the Ford Explorer. With a tow rating of up to 5,000 pounds on most Ford Explorer models and even a maximum tow rating up to 3,000 pounds with the 2.3-liter EcoBoost engine you can rest assured that this small but sturdy SUV can make each new adventure more exciting. Although the Explorer’s interior isn’t necessarily seating more passengers than the 2017 GMC Yukon, the comfort felt in the 2017 Ford Explorer far outweighs this fact. Thanks to leather-trimmed seats, dual smart-charging USB ports, letting people on the second row plug in their mobile devices, and a navigation system with both Traffic and Travel Link, which includes voice-guided turn-by-turn directions and 3-D mapping you and your passengers will enjoy each and every ride in this SUV. Packing for each trip will also be a breeze thanks to a clever storage compartment in the floor at the back of this ride. The hands-free, foot-activated liftgate for the 21 cubic feet of cargo space behind the third row of the 2017 Explorer also making it possible to pack a large number of items all at once. Unlike its competition the 2017 Ford Explorer has earned a 5-star safety rating thanks to features like adaptive cruise control, brake assist, passenger air bag on/off switch, electronic stability control, forward collision warning with brake support, night vision, a unique rollover protection system, traction control, blind spot monitor, lane departure warning system and an ignition disable device that will prevent the engine from starting if the correct original manufacturer key is not used. One feature that also enhances this Ford model’s safety rating is the Ford Explorer's Curve Control, which adapts both the throttle and the brake to prepare for upcoming corners. Any automotive owner is sure to be on the lookout for technology features as well and this was Ford’s largest focus for the all-new Explorer. Along with a new front 180-Degree camera and forward sensing system, which also allows the driver to see around corners, the 2017 Ford Explorer also offers its Sync 3 voice-activated technology, which offers each driver to sync their smartphone via Bluetooth. Unlike its competition, the 2017 Ford Explorer also offers a six-month trial subscription of the All-Access Package of SiriusXM Radio. This allows both the driver and passengers to enjoy more than 150 channels including commercial-free music, plus live sports, news and exclusive entertainment no matter where you may roam. With all of these bells and whistles, why would you still be questioning as to if it is time to check out the 2017 Ford Explorer for yourself? This is your sign! Wait no longer, get out and visit your Southern California Ford Dealer today to check out this award-winning SUV for yourself.